Podcasting is the fast-growing media platform in the world, with currently 650,000 podcasts out there, in 100 languages, and offering over 20 million episodes. And we’re only at the beginning. More and more podcasts appear every day, and more and more entrepreneurs, businesses, individuals, and distributors, like Spotify, are getting into this world. One person so many people turn to to help launch their podcasts is Eric Nuzum, a veteran of NPR and Audible who’s had a hand in creating and launching over 130 podcasts, including some of the most successful out there like TED Radio Hour, Invisibilia, Where Should We Begin? with Esther Perel, The Butterfly Effect, and West Cork. And the reason is that Nuzum understands the essentials of what makes a podcast work, and knows how to help creators shepherd their vision from rough idea to finished product. 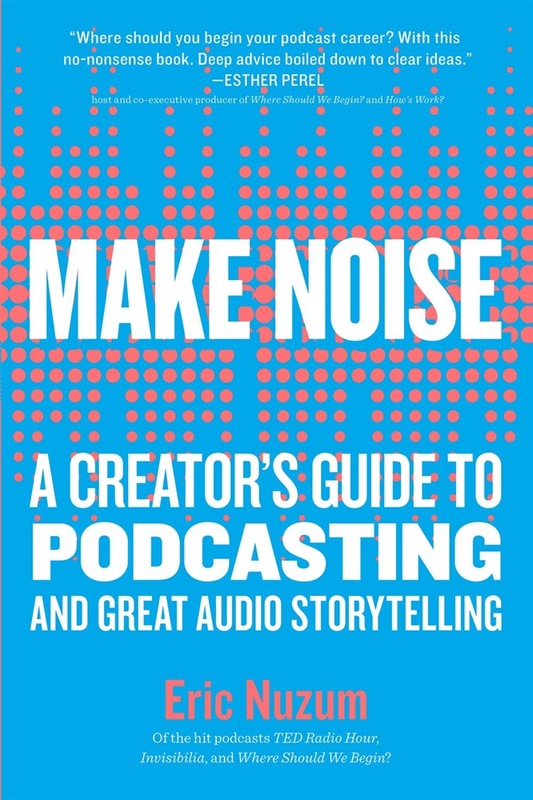 Make Noise brings all the wisdom, advice, practical information, and big-picture thinking that any individual or business needs to make a successful podcast. He identifies core principles—create empathetically, i.e., think like the audience listens, and stay focused on what’s unique to you and what you have to say. He helps readers come up with a “Ten Word Description” that will guide them throughout the creative process, and then gets into how-tos—how to develop character, story, voice; how to conduct an effective interview; how to be mindful of the limitations of audio (be more like Hemingway than Faulkner). Here are the rules of storytelling, advice on how to test-drive an idea (make six individual lunch dates, talk it over with each, and by the end see how you’ve refined your thinking), and, when it’s all ready, how to develop your audience. Make Noise won’t tell you what microphone to buy. But its insights and guidance will help readers better express themselves as an audio storyteller. 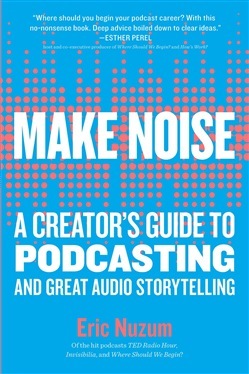 Acquista Make Noise in Epub: dopo aver letto l’ebook Make Noise di Eric Nuzum ti invitiamo a lasciarci una Recensione qui sotto: sarà utile agli utenti che non abbiano ancora letto questo libro e che vogliano avere delle opinioni altrui. L’opinione su di un libro è molto soggettiva e per questo leggere eventuali recensioni negative non ci dovrà frenare dall’acquisto, anzi dovrà spingerci ad acquistare il libro in fretta per poter dire la nostra ed eventualmente smentire quanto commentato da altri, contribuendo ad arricchire più possibile i commenti e dare sempre più spunti di confronto al pubblico online.